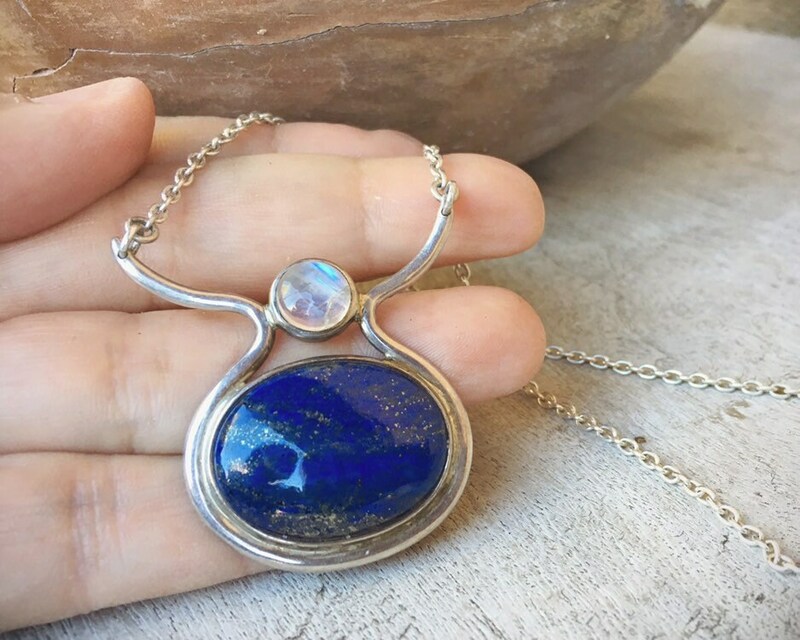 This pendant features a large cabochon of lapis lazuli and a smaller cab of moonstone. 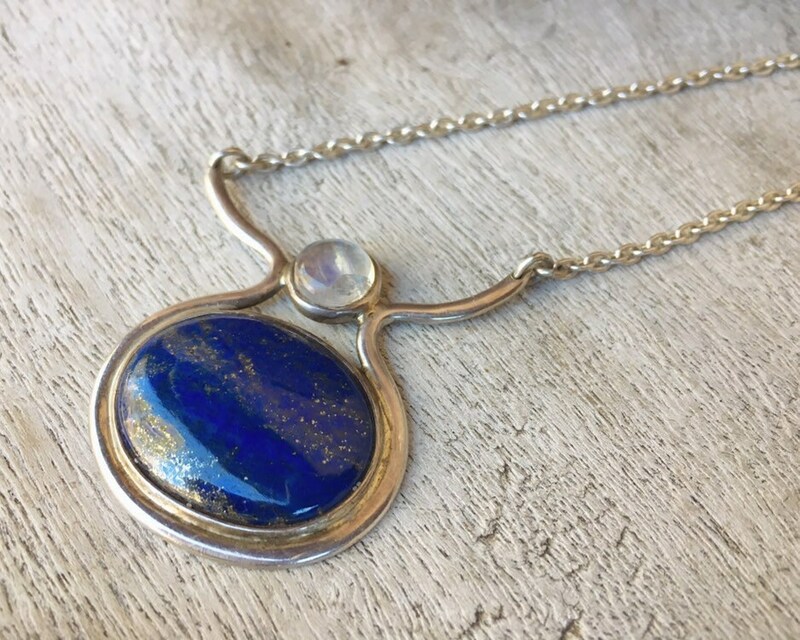 The lapis has gold flecks, and the moonstone has an ever so slight section of opalescent blue that perhaps stands out more for the lapis. 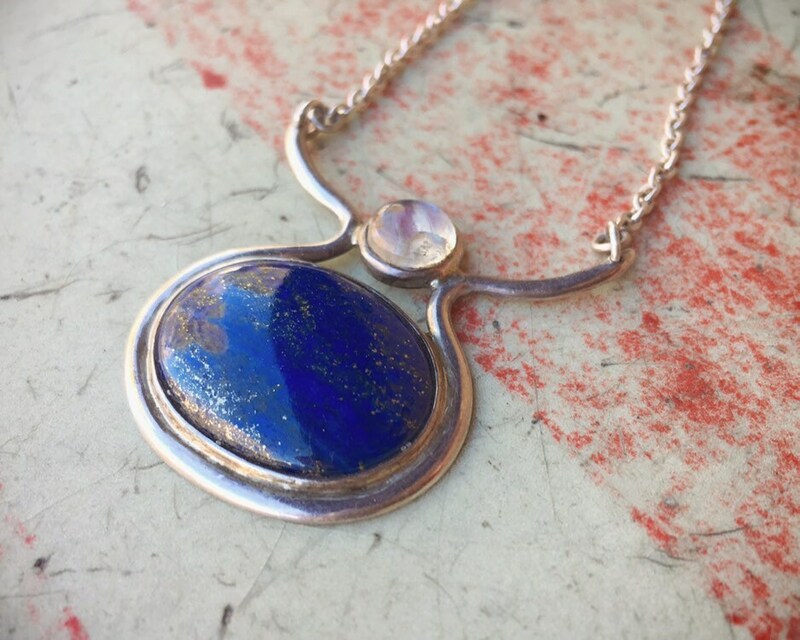 Set in a sort of modern lavalier style with a chain on either end of the silver frame of the pendant. 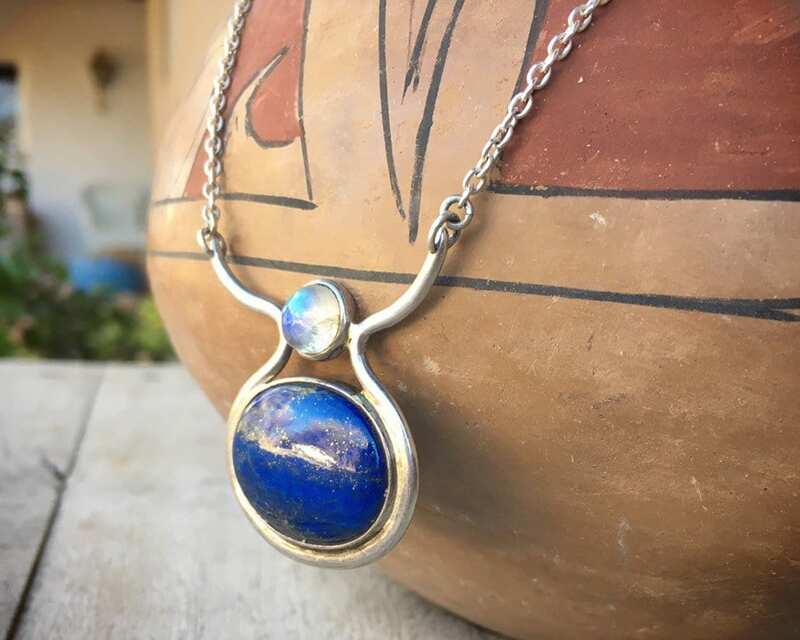 This is meant to be worn high, as a choker, so that the pendant falls right as the neck moves into the chest, between the collarbone. Make sure to check your neck size as this is small enough that it might not fit. 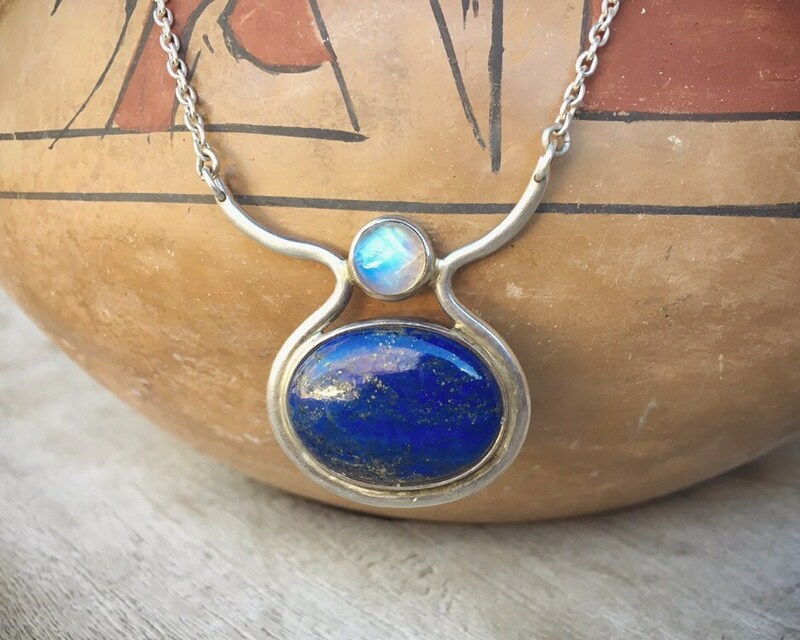 The pendant is not heavy although it does have great presence. 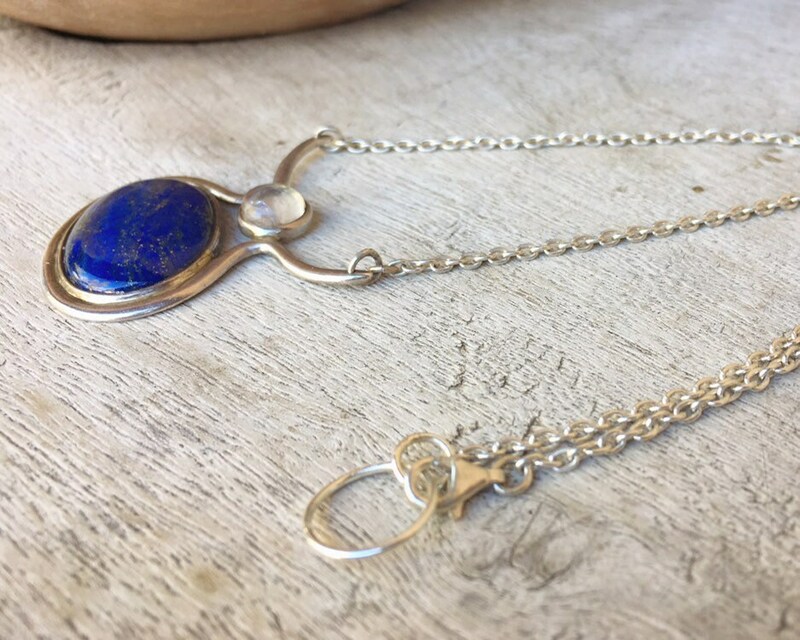 The pendant is 1-5/8" tall by 1-1/2" wide, and on either side of the pendant is just over 7" of chain not including clasp. 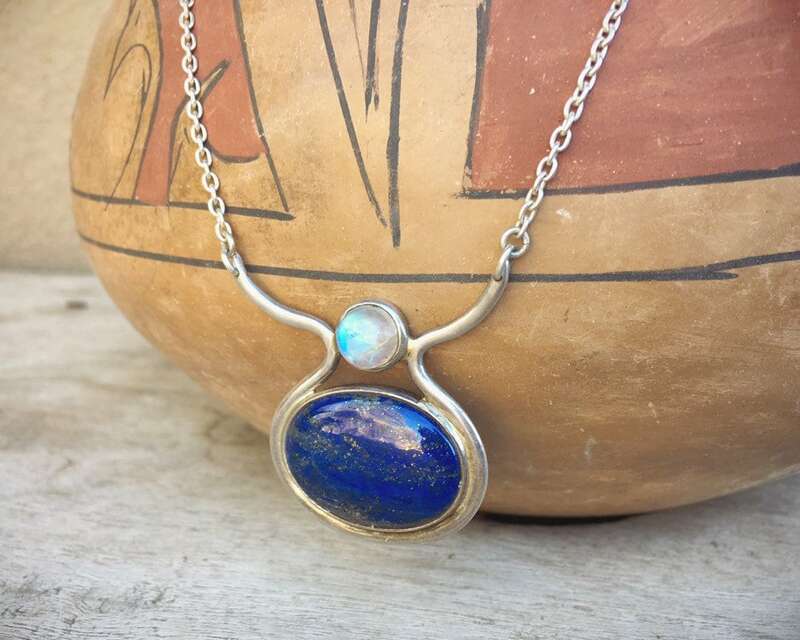 Taking into account the width of the pendant, plan for a total of 15-1/2", all inclusive--truly a choker length size. Not adjustable. Small sratches in silver. 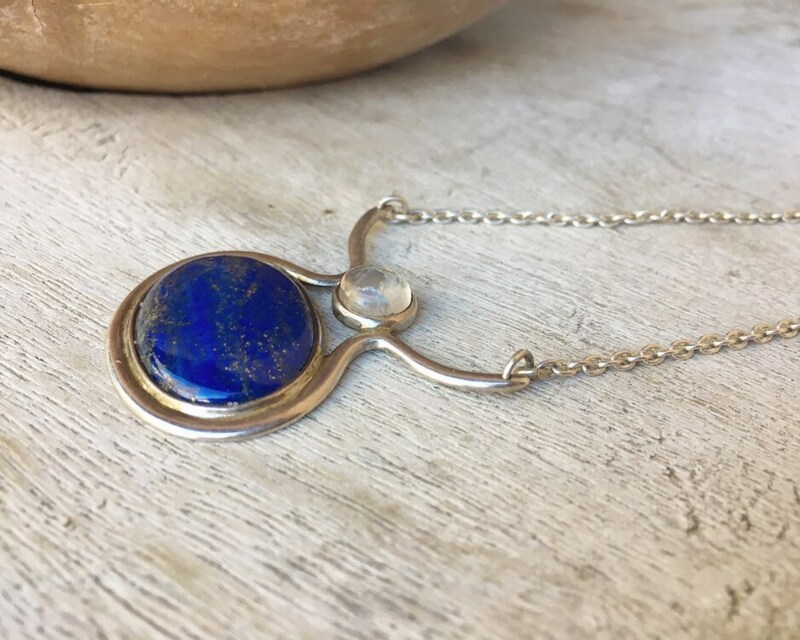 A stunning piece for a dainty neck.